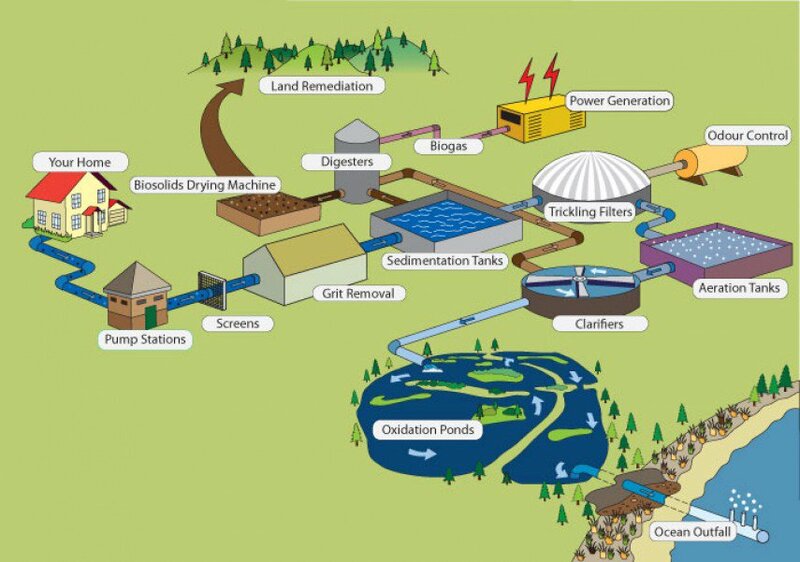 Waste disposal takes many forms including direct discharge to land or water, and sludge disposal. Such wastes need to be managed in such a way that the adverse effects are minimised to protect the environment and human health. unfavourable effects on Māori cultural values since they place high value on their land and water. Health Protection Officers have powers to serve notice on a Council to abate a waste nuisance (Section 55). disposal of oils, fats and sludge from Offensive Trades such as fish cleaning, rubbish collecting and stock yards. The primary sources of solid waste are domestic, commercial and industrial waste from processes and packaging, demolition material and organic materials. Rubbish collection and disposal is primarily the responsibility of district and regional councils under the Local Government Act 2002 and the Resource Management Act 1991. Existing on-site wastewater treatment systems assessment in Darfield: Sanitary survey summary report (Community and Public Health 2014) [2.56Mb PDF]. Public health risk assessment of sewage disposal by onsite wastewater treatment and disposal systems in the Darfield and Kirwee Communities (ESR 2014) [800Kb PDF]. Waste management is a major challenge in NZ as three quarters of our waste that is sent to landfill is recoverable. We can show love for our environment and our planet by living as waste-free as possible. We can also waste less money in the process! Find out how to reduce your food waste, including composting (Love Food Hate Waste). Find out what types of plastics and paper products can be recycled. Some types are easier to recycle than others. Choose products with compostable or biodegradable packaging – avoiding those with unnecessary or unrecyclable packaging. Use reusable bags and containers. Get more information on how to live waste free (Recycle NZ). A 2015 report on wastewater treatment systems in Darfield and Kirwee found that many septic tanks are poorly operated and maintained. Canterbury Medical Officer of Health Dr Alistair Humphrey says if septic tanks are not properly maintained, they can cause health and environmental problems. “Septic systems can work well in rural areas especially if they’re regularly maintained and tank owners are careful with what they put down their sink and use in their home,” Dr Humphrey says. The survey of more than 100 septic tanks by CDHB was one of three reports released on the treatment of wastewater in Darfield and Kirwee.